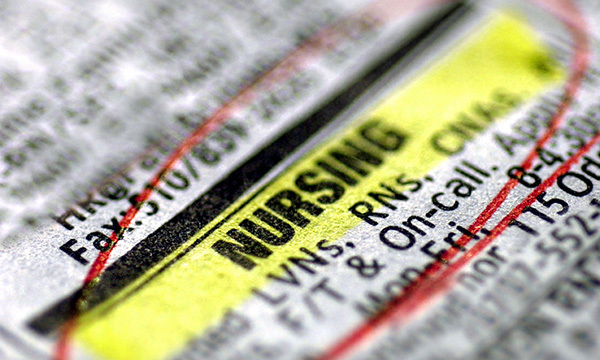 Nurse vacancy rates in England fell in the last three months of 2017 but remain above 10%, the first official figures on the profession's shortages reveal. Statistics released by NHS Improvement (NHSI) also show trusts have tightened their spending on agency nurses, despite forecasting an almost £1 billion black hole in their finances. The south of England, with an overall vacancy rate of 10.8%, is particularly short of specialist nurses, with a 19.5% vacancy rate. Northern parts of England have the lowest vacancy rates at just 7.1%. The total number of vacancies stood at 35,835, down from 39,004 the previous quarter. Commenting on the figures in NHS Improvement’s Quarterly Performance of the NHS Provider sector report, RCN general secretary Janet Davies said: ‘This release puts official figures on nurse shortages in the public domain for the first time. She reiterated the college’s demands for nursing student bursaries to be reintroduced and for nurses’ pay to be improved. Despite the high volume of vacancies, NHSI reported significant falls in agency costs. Between April and December 2016 NHS trusts spent £871 million on agency nurses, but for the same nine-month period in 2017 they spent £679 million, a fall of 22%. NHSI said that by controlling agency spending trusts have achieved better workforce planning and improved the value for money achieved. Less positively, the report said healthcare providers forecast an annual deficit of £931 million, which is £435 million worse than originally planned and £127 million worse than forecast in the previous quarterly report. NHSI chief executive Ian Dalton said: ‘Some providers appear to have managed the financial pressures better than others. ‘We are working closely with those providers whose financial position has deteriorated seriously to ensure that they get a grip on their problems while delivering the best possible care for patients.